Your smile and overall dental health is dependent upon the care you give yourself at home and at the dentist’s office. Detecting dental problems early on can save time, money, teeth, and maybe even your life. If you need a dentist in the Orlando FL area and have not had an oral exam or cleaning within the last 6-12 months, give us a call or make an appointment online. We would love to have the opportunity to serve you and your family. When you visit our dental office your smile is our top priority. Our entire team is dedicated to providing you with the personalized, gentle care that you deserve. The reviews from our dental patients speak for themselves. Checkout and see what your neighbors have to say about our practice! At Watson Dental Care we do our best to provide a relaxing and enjoyable experience for our patients. We want you to feel at ease when you come for your dental visit. Whether it is your first visit to a dentist or if you are seeking a second opinion, we take pride in providing a comfortable family like atmosphere and look forward to greeting you! Watson Dental Care conveniently serves the surrounding areas of Orlando, Dr. Phillips, MetroWest, Millenia, Windhover, Pine castle, Edgewood, Williamsburg, and Park Central. Come and meet our dentist Dr. Gabriel Sangalang. Dr. Sangalang prides himself on focusing on patient needs and providing the dental expertise and knowledge needed to address their dental needs. 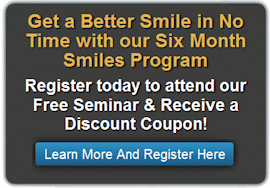 Please contact our Orlando dentist office for more information, or make an appointment today.